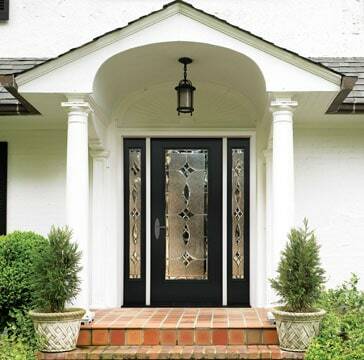 Doors are sold individually or as pre-hung systems, which come already hinged in a jamb and frame. 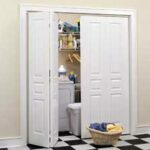 (For more about this, see Interior Doors Buying Guide.) The latter one is the easiest type to install. 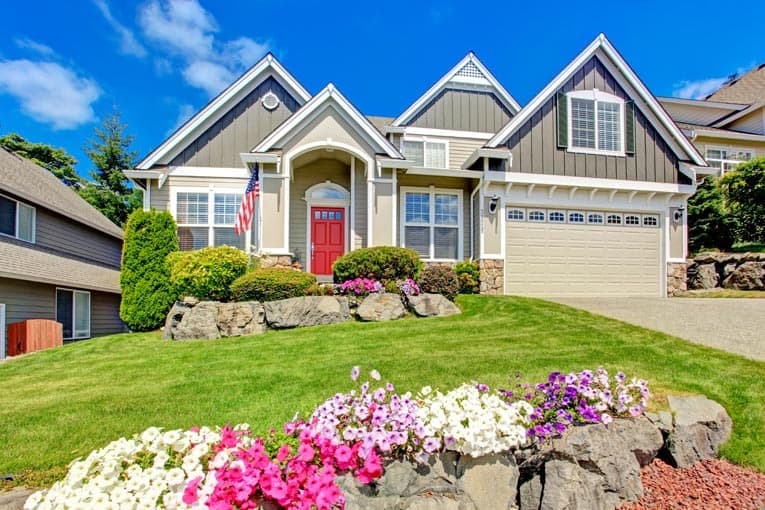 When you buy a pre-hung door, the manufacturer can provide you with the rough opening dimensions necessary for the structural framing. Normally, you will need to remove the wall covering for at least the rough opening plus 3 inches on each side and across the top for framing. 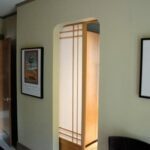 If the door is going into a bearing wall, the rough opening may need to be even taller to allow for a header. Often it is best to remove the wall covering from floor to ceiling between the two bordering studs that will remain in place. To figure out how much of a rough opening the door will need, measure the width of the door and its frame. Mark the center point of where you want the door to go on the ceiling. Then measure half the door unit’s width in each direction and mark again. These will indicate the inside faces of each trimmer stud. Add another 3 inches to each side for your surface-removal borders. Note: In many cases, it makes sense to remove the surface material all of the way to the center of the next wall stud on both sides. This way, when you replace the wall surface material, you’ll have a existing studs to nail to (otherwise you’ll have to add studs to back the cut wallboard ends). Be aware that when you remove a section of wall to install a new doorway, the floor must be finished where the wall once stood. After covering the floor with a drop cloth, use a sharp utility knife to score deeply into the drywall along your vertical layout lines. Score your cutting lines with a utility knife—cut deep with multiple passes. Make several passes if necessary to cut all the way through the material. Pry the cut panels off the studs. To remove plaster and lath, cut through the lath with a saber saw or reciprocating saw equipped with a blade made for the job; be sure to wear safety glasses, a dust mask, and gloves. 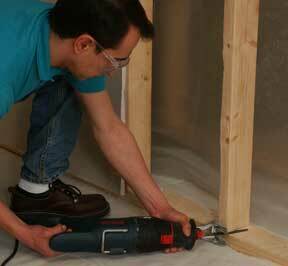 To prevent unnecessary vibration, hold the saw’s foot plate firmly against the plaster. Then use a prybar to pull down chunks of the plaster and remove the lath from the studs. Cut through the bottoms of the studs you will remove, using a reciprocating saw. Use a reciprocating saw to cut off the studs that are located within the new opening. Twist the stud pieces, and then pry them away from the plates.